The latest air quality and campus closure information. Editor’s Note: The FAQ was updated Nov. 19, 2018 to reflect answers to additional inquiries. What level of ventilation and filtration is used in university buildings? What type of air mask should I be using? Typically the N95 is best for most people, including the 3M 8210 (N95) mask with double elastic. This is recommended by the California Department of Public Health and the California Air Resources Board. recommended general public use. Mostly it’s the N95 rating. But for as many people who are buying masks, the county public health officer warns that the N95 is not recommended for all. People with chronic medical conditions should check with their health provider to determine if a mask is appropriate for them. “You would think people who have asthma, emphysema, chronic heart disease would actually benefit most from these masks,” said Sacramento County’s Director of Health Services Dr. Peter Beilenson. “That is actually not true. They are most at risk from these masks because it actually makes it harder to breathe.” Recommended by CDPH and the California air resources board. For more information, visit CDPH or ARB. Are masks available on campus? Yes, the Student Wellness Center has N95 masks available for SJSU students and employees who present an ID. 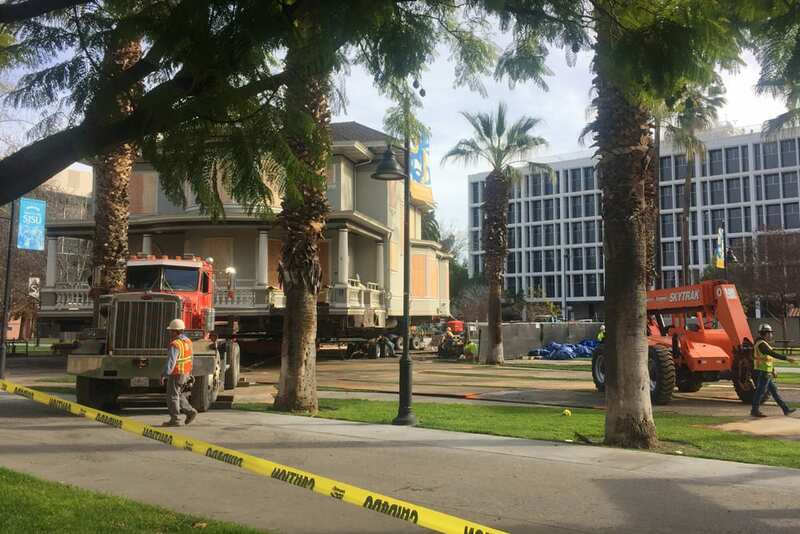 Why did SJSU administrators decide to keep campus open Nov. 19-21? There is a student petition with more than 10,000 signatures asking to close the campus. What are you saying to those students? We truly respect the thoughtful perspective of our students and have been communicating with them through social media and other communication channels. The air quality monitoring services and our own Environmental and Health Safety team indicate the air quality is getting better today and will continue to do so. Do classrooms in Sweeney Hall require the windows to remain open during lecture because of the lack of air flow? Sweeney Hall has operable windows. The HVAC system will condition the space if the windows remain shut. We have addressed increasing the airflow within the classrooms. Going into the next couple of days the windows should be shut to keep in the heat. Will staff or faculty need to use sick or vacation time during the closure? No, staff and faculty will not be required to use or vacation time during the closure. Will deadlines for petitions be extended due to the closure? Please feel free to send any questions to vp.adminfinance@sjsu.edu. ❓ What type of mask should I be using? ❓ Are masks available on campus? ❓ Will deadlines for petitions be extended? ❓ Why keep the campus open Nov. 19-21? November 18, 2018, 10:30 p.m.
Editor’s note: The following message was emailed to all students, faculty and staff on November 18, 2018. We will post updates on this web page as new information becomes available. We have received a number of inquiries and requests for reconsideration of our announcement that the campus will be open for classes tomorrow. We truly respect the thoughtful perspectives that were shared by many SJSU students and other university community members. Decisions to close a campus are never made lightly. 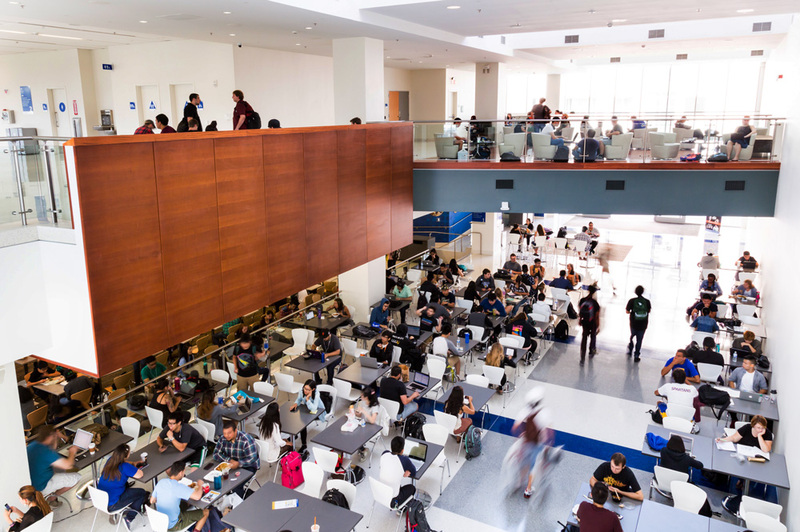 The needs and well-being of SJSU’s students, faculty, and staff, as well as the surrounding community, are paramount in any discussion regarding the operation of the campus. A compelling case for closure was made this past week, and we responded by closing the institution last Thursday and Friday. We made the decision to close as the Air Quality Index (AQI) levels were approaching the very unhealthy (above 200) range. Since that time the levels have dropped markedly. While the air quality in the San Jose area is currently in the unhealthy range, the AQI readings this evening are much improved over what they were Thursday and Friday, and the forecast is for continued improvement over the next couple of days. As previously stated, we encourage any students experiencing health issues to seek medical advice, and we discourage prolonged outdoor activity while the air quality is still less than ideal. However, barring any unforeseen worsening of air quality conditions in the coming hours we anticipate that campus will be available and open, and classes will be in session tomorrow and Tuesday as scheduled. We will continue to monitor conditions and communicate to the university community should conditions change. Please visit go.sjsu.edu/air and our Twitter and Facebook feeds for any additional updates. November 18, 2018, 2:40 p.m.
Editor’s note: The following message was emailed to all students, faculty and staff on November 18, 2018. As we shared last week, the San José State University campus will be open for classes and all other business tomorrow and Tuesday, with a regular employee workday and faculty duty day (no classes scheduled) on Wednesday prior to the Thanksgiving holiday break. We share the concerns of many who have written regarding ongoing air quality issues in our region. Our leadership team is in continual contact with local and regional air quality and environmental agencies to monitor conditions. While we suggest limiting extensive outdoor activity while poor air quality persists, we are assured that conditions are improving and the campus can return to business as usual. Should there be any significant change in conditions we will respond accordingly, but at this time the campus will resume business as usual tomorrow. We understand that some individuals may experience greater sensitivity to changing environmental conditions. Please consult the Student Wellness Center or your health care provider should you experience health issues. Our latest updates on current air quality conditions continue to be available at go.sjsu.edu/air and via Twitter and Facebook. November 15, 2018, 3:10 p.m.
Editor’s note: The following message was emailed to all students, faculty and staff on November 15, 2018. As announced last evening, San Jose State University is closed today and tomorrow. The campus is currently scheduled to re-open for classes and other campus activities Saturday morning, and will be open as scheduled for classes Monday and Tuesday of next week, and a duty day for employees on Wednesday prior to the Thanksgiving holiday break. We will continue to monitor air quality and consult with environmental and health experts as we proceed, and will provide any additional updates as needed. Please visit go.sjsu.edu/air and/or SJSU’s Twitter and Facebook accounts for the latest updates. UPDATE: #SJSU is scheduled to re-open for classes and other campus activities Saturday morning. Open for classes on Mon. and Tues. next week, and a duty day for employees on Weds., prior to the Thanksgiving break. The Student Wellness Center will be closed tomorrow, Friday, Nov. 16, with plans to reopen on Monday, Nov. 19. November 14, 2018, 10:58 p.m.
Editor’s note: The following message was emailed to all students, faculty and staff on November 14, 2018. San Jose State University’s campus will be closed Thursday, Nov. 15 and Friday, Nov. 16 due to unhealthy air quality levels in the Bay Area caused by wildfires throughout the state. The health and well being of students, faculty and staff are of utmost importance to us; we encourage you to continue to heed the advice shared in our earlier campus message to stay safe over the next few days. Will any campus services remain open? Yes, residence halls, the Dining Commons and Village Market will remain open during the closure Nov. 15-16. All other campus buildings will be closed, including the Spartan Memorial Chapel and Spartan Recreation facilities. Will the Dr. Martin Luther King, Jr. Library remain open? Yes, the Dr. Martin Luther King, Jr. will remain open during the campus closure Nov. 15-16, but SJSU services will not be available. The library will be open until 9 p.m. on Nov. 15 and from 8 a.m. to 6 p.m. Nov. 16. Will the Student Wellness Center remain open? The Student Wellness Center will be closed Friday, Nov. 16, with plans to reopen on Monday, Nov. 19. Are campus events and extracurricular activities canceled? Yes, campus events including the Truth Effect have been postponed or canceled; check the SJSU events calendar or connect with event organizers for information on rescheduled dates and times. Will Saturday classes be canceled? At this time, the campus closure is effective through Friday, Nov 16. The university leadership team will continue to monitor the air quality situation and will determine if the closure should be extended. All classes Nov. 15-16 will be canceled, including online classes. Will anyone be required to report to campus during the closure? Essential employees should report to work; if you are unclear about your status, please check in with your direct supervisor. UPDATE: #SJSU campus will be closed Thursday, Nov. 15 and Friday, Nov. 16 due to unhealthy air quality levels in the Bay Area caused by wildfires throughout the state. November 14, 2018, 4:09 p.m.
On top of the human tragedy caused by the California fires, we are also facing concerns with air quality and our immediate environment. We continue to monitor air quality levels and believe remaining open is still safe and in the best interests of our community, but we encourage people to stay indoors as much as possible. While there are currently no plans to close the campus, some of us may experience health challenges due to the reported air quality. When scheduling classes and activities, faculty should exercise consideration and be sensitive to the fact that people react in different ways to poor air quality. 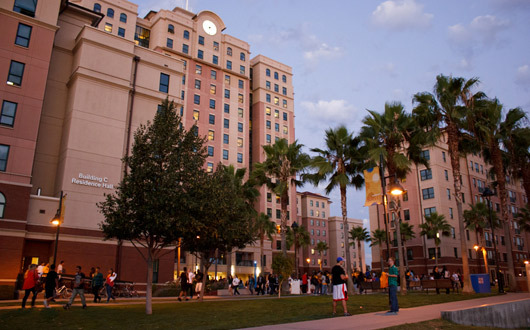 The safety and well-being of our students, faculty, and staff here at San Jose State are always my utmost concern. Please continue to keep attuned to any further concerns you might hear from students and colleagues, and share those with us at vp.adminfinance@sjsu.edu. We can then do our collective best to respond appropriately. With great eloquence, Nobel Peace Prize recipient Malala Yousafzai shared her life story with thousands of audience members young and old at the SJSU Event Center the evening June 26. After introductory remarks by President Mohammad Qayoumi and novelist Khaled Hosseini, Yousafzai spoke without the benefit of notes or a podium, appealing directly to the crowd, before taking a seat beside Hosseini for a question-and-answer session. The president noted he and Hosseini are both from Afghanistan, which has a shared history with Yousafzai’s native Pakistan. An avid reader, Yousafzai counts Hosseini among her favorite authors for his realistic depictions of war. In October 2012, Yousafzai was shot in an attempt by the Taliban to silence her. Just 15 years old at the time, she was already an outspoken proponent for girls’ education in her country and throughout the world, a role she resumed after recovering. Today, Yousafzai and her family live in Birmingham, England. Her San Jose visit came amid a series of U.S. speaking engagements and events including a 70th anniversary celebration for the United Nations in San Francisco. The buzz was all about energy—human energy, that is—at the Silicon Valley Engineering Council‘s 2015 Engineers Week Banquet on Feb. 19 at the Doubletree Hotel in San Jose. “I believe that learning and imagination are the most potent forms of energy in the universe,” said President Mohammad Qayoumi in prepared remarks following his induction into the council’s Hall of Fame. Clearly, engineering council members felt the same, devoting much of the event to mentoring the next generation of engineering talent. Scholarship recipients included three San Jose State students: Jose Alvarez, Biomedical Engineering; Linh Do, ’16 Chemical Engineering; and Giovanni Zecchini, ’16 Mechanical Engineering. The council is an umbrella organization for engineering societies in the valley. Goals include promoting the career development of engineers and technical professionals. 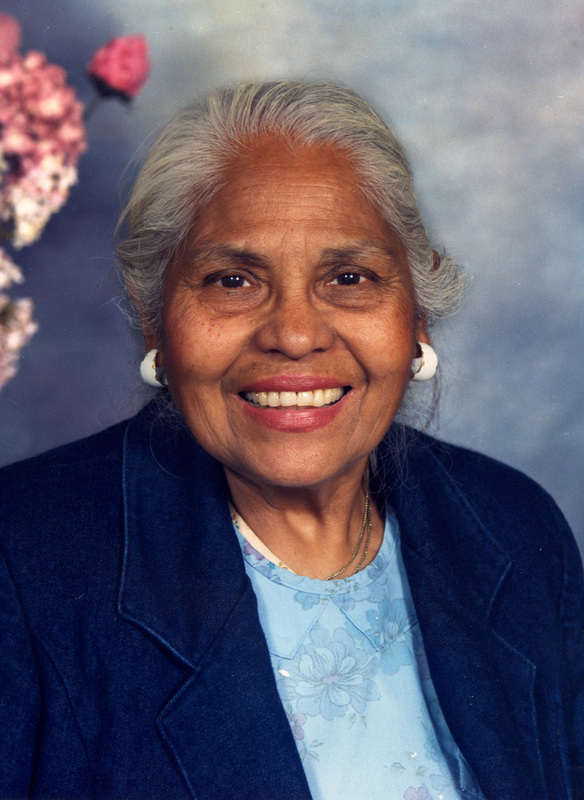 Among the council’s founders was the late Jay Pinson, an SJSU engineering professor and dean widely recognized for corralling support for the first engineering college fundraising campaign in the 1970s. 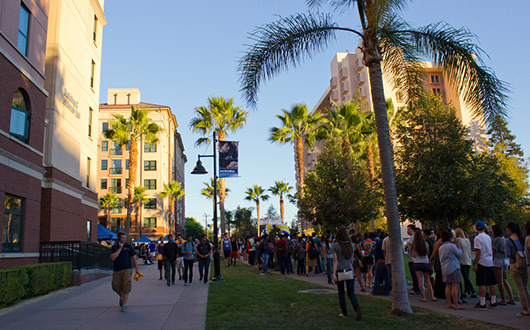 SJSU continues to engender that sense of community beyond campus. Among the event’s attendees was San Jose Mayor Sam Liccardo, California State University Chancellor Timothy P. White and Tower Foundation Board Chair Amir Mashkoori. Afghanistan’s president, Ashraf Ghani, congratulated Qayoumi with a video message. They were once college roommates. Campus community members in attendance included President Qayoumi’s wife, an excellent example of the power of human energy. “I am grateful to the love of my life and wife of 36 years, Najia, who has supported my academic and related public policy pursuits while carving out her own niche as an accomplished clinical dietitian and Persian poet,” the president said. A new, improved and more accessible San Jose State website will launch next month. A partnership between University Advancement and Information Technology, the new website features a mobile-friendly, responsive design, improved navigation, and a new set of templates and customizable components designed for adoption by departments throughout campus. Based on research and feedback from university users, the new design addresses substantial technical challenges and will allow users to more easily navigate our website. The new templates have been created in OmniUpdates OU Campus to enhance the experience of both web editors and visitors. We will be piloting this new design first with the IT website, the university homepage and other pages maintained by Strategic Communications and Marketing in January. From there, the new templates will be tested on several initial pilot sites to allow us to address any technical issues and help us in developing a migration guide with best practices. Following the pilot phase, each department will be responsible for reviewing their websites. IT and UA will support the migration including best practices, training videos and in-person workshops. The new website design aligns with SJSU’s brand identity. 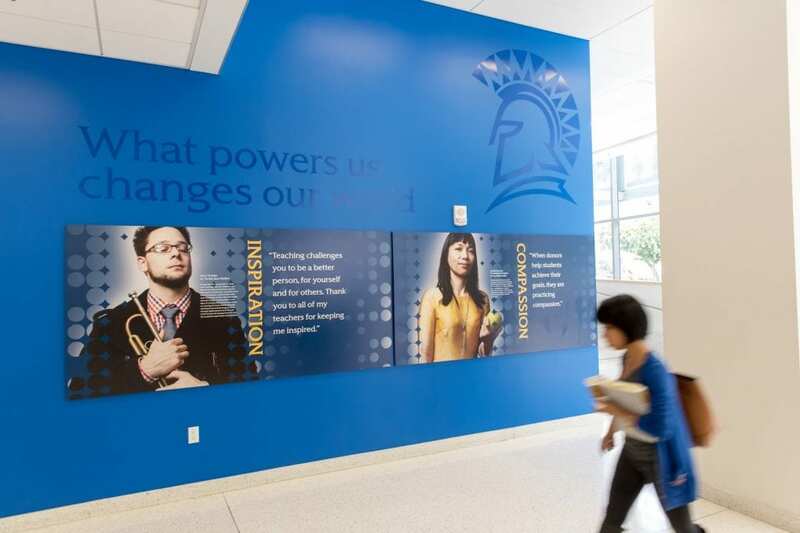 In 2014, SJSU launched our “power” brand that includes storytelling and an integrated visual identity. 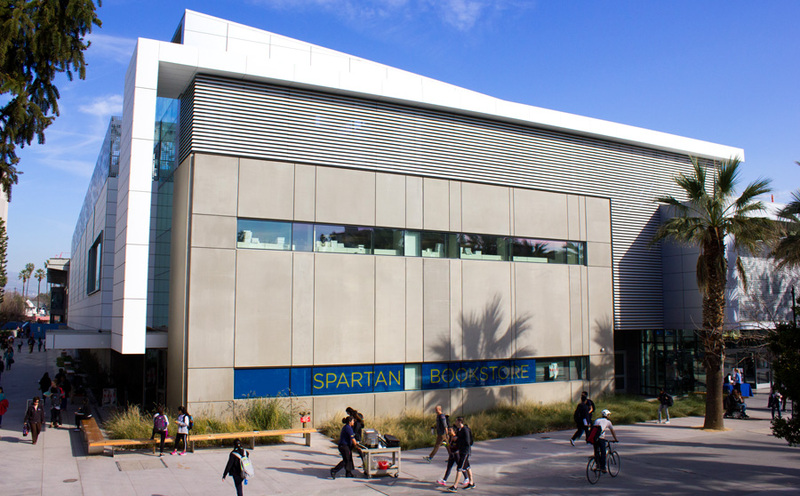 SJSU’s storytelling focuses on presenting how Spartans use what inspires them to make the world a better place. The SJSU story has been expressed in physical spaces such as the Diaz Compean Student Union, at strategic events and throughout our region. 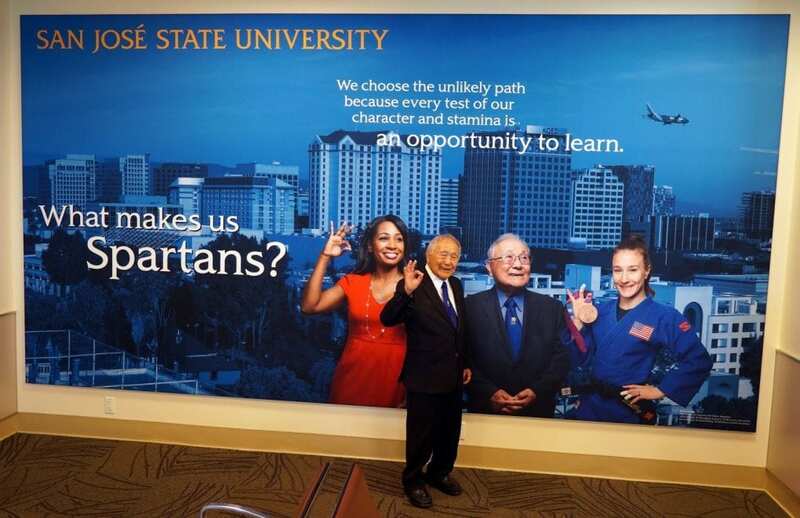 SJSU’s recent efforts to build a strong connection to and presence in Silicon Valley include updated street banners and shuttle buses, signage in Avaya and Levi’s stadiums, and a seating area with a 70-foot mural and digital ads at the San Jose International Airport. Digital communication is vital to strengthening SJSU’s connections within our campus community and to our region. The website relaunch is an opportunity to better serve the members of our community. Students, faculty and staff members, and external stakeholders are increasingly using mobile devices and platforms to access our website. As Silicon Valley’s public university, we must modernize our web presence to meet the needs of our community—and create more effective digital communications that can be accessed from any device. 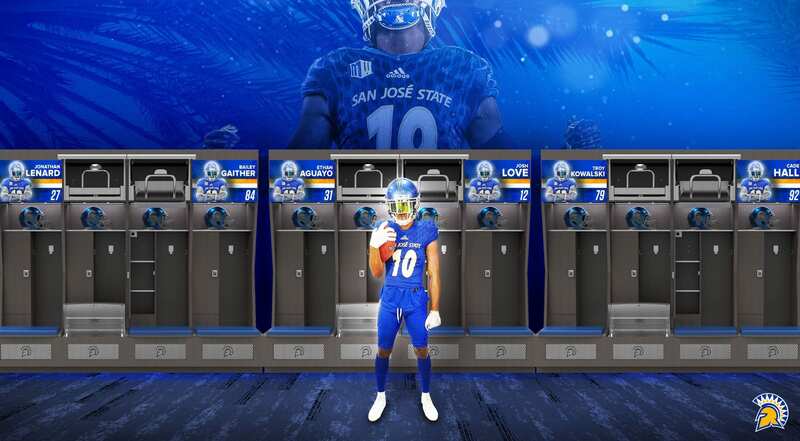 The new Giving to SJSU and All In: The Campaign for Spartan Football are two examples of the work University Advancement has done to build a more modern online presence. These projects helped us prepare for a university-wide web modernization, as well as drive support for SJSU’s strategic priorities. For questions or feedback on the website modernization project, please contact us at website-feedback-group@sjsu.edu. It’s the caliber of the students and faculty members that draws crowds to the College of Humanities and the Arts Showcase. Visitors learn about the college by experiencing everything from students performing the lead roles from the musical “West Side Story” to the opportunity to view the exquisite details of costumes and lighting designed for SJSU stage performances to the option of inviting an English student to compose a poem on the spot on the topic of the visitor’s choice. This year’s event, held in the Student Union ballroom the afternoon of Oct. 10, featured all of the colleges departments and many of its majors including Music and Dance; Art and Art History; Design; English and Comparative Literature; Humanities; Linguistics and Language Development; Philosophy; Radio, Film and TV; Theatre Arts; and World Languages and Literature. 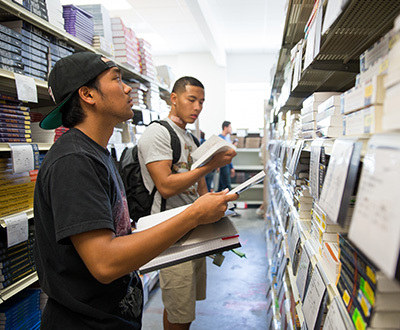 Students shop for books in the newly renovated Student Union (Stan Olszewski photo). SAN JOSE, Calif., — The 2015 edition of the U.S. News & World Report college rankings, available now online, shows San Jose State University at eighth overall among the West’s top public universities offering bachelor’s and master’s degrees, keeping SJSU in the region’s top 10. 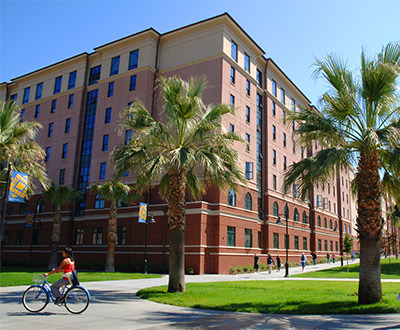 San Jose State’s Charles W. Davidson College of Engineering received top marks, ranking third in the nation among public engineering programs offering bachelor’s and master’s degrees, excluding service academies. In addition, SJSU’s computer engineering program was ranked first in the nation among public engineering programs offering bachelor’s and master’s degrees. “The Charles W. Davidson College of Engineering has earned its reputation for being among the best in the nation by providing our students with outstanding opportunities for hands-on learning directly addressing 21st century challenges here in Silicon Valley,” Dean Andrew Hsu said. Read more from U.S. News & World Report. The 2014 U.S. Cyber Challenge Western Regional Cyber Camp took place Aug. 11-15 at San Jose State. The camp included a cybersecurity roundtable discussion featuring national experts from technology, government and academia and a virtual “Capture the Flag” competition and awards ceremony. In addition, the week-long camp program offered in-depth workshops on a range of topics such as reverse engineering malware, writing exploits, tactical attacks and penetration testing, all taught by academics, SANS Institute senior instructors and other cybersecurity experts. More than 70 camp participants attended the invitation-only camp, based in part on their scores from Cyber Quests, an online competition offered through the USCC in April that drew more than 1,600 participants from almost 700 schools nationwide. I’m touching base to share additional information about the efforts to move the campus forward toward healing and recovery from the alleged race-related incident that occurred this fall in one of our residence halls. Review all of the facts. Propose recommendations for ensuring that San Jose State is a safe, welcoming, tolerant community. Judge Cordell served the Superior Court of California, County of Santa Clara, for 19 years before becoming the independent police auditor for the City of San Jose in 2010. Throughout her career, Judge Cordell has sought to give a voice to the unheard. I am grateful that she is willing and available to serve in this critical role. The work of the special task force will be informed by an independent fact-finding effort. Myron “Mike” D. Moye, a partner at law firm Hanson Bridgett LLP, has been retained to conduct the fact-finding effort and produce a report that will be presented to the special task force. Moye has extensive experience in cases involving harassment, discrimination, ethics and regulatory compliance. Determine, to the extent possible, what happened, when it happened, and who the alleged perpetrators are. Determine when and how the campus knew of the alleged incident, or should have known of it. Determine how and when the campus administration responded to the alleged incident. Determine whether the campus or any of its employees violated any existing campus or systemwide policies in responding to the alleged incident. Determine the extent to which such policies, procedures and practices were followed. Moye has been asked to produce his report by January 31, 2014. The special task force will receive the report and begin its work in February, and issue a final public report by April 30. Task force members will include a diverse mixture of SJSU students, faculty and staff members and alumni; subject-matter experts within the California State University; and community members. Its membership will be finalized by January 15. Let me also update you on two related matters. As many of you know, San Jose State has undertaken previous efforts to make diversity an intentional, holistic element of our teaching and learning mission. In spring 2013, we solicited nominations for a Commission on Diversity. Its members were appointed in August 2013 and the group met for the first time this fall. The commission will meet again this month and will have the opportunity to consider the recommendations of the special task force in its work going forward. In an earlier message to you, I outlined plans for a forum on racial intolerance to be held on campus in the first two weeks of December. After consultation with student groups, we are postponing this event to early next year in order to maximize participation. We need students to play a prominent role in planning the gathering, and there is insufficient time to do this now as they are preparing for final exams. I appreciate the many ways our community has responded in the last two weeks. Much work lies ahead. A website summarizing all relevant reports, updates and messages has been established. Please continue to reach out to me, and to one another. When I expressed outrage last Thursday at the race-based abuse and mistreatment of an African-American SJSU freshman by several suite mates, I did not clearly express our accountability for what he endured. By failing to recognize the meaning of a Confederate flag, intervene earlier to stop the abuse, or impose sanctions as soon as the gravity of the behavior became clear, we failed him. I failed him. How such abuse could have gone unchecked or undetected for weeks is being methodically untangled, as it must. An independent expert will soon be named to lead a task force that will examine the facts, our policies and practices, and propose reforms. Some anger is being directed toward residence hall advisers (RAs) for failing to recognize or act on warning signs of abuse. It is our job as professional educators to help them recognize these signs. Their failures are our failures. We must do a better job of training them, and we will. If our housing and student disciplinary policies and processes are inadequate or not followed, it is up to us as administrators to ensure that they work, or fix them. Sunday night, SJSU faculty leaders and administrators, including housing staff, met with students in the Dining Commons. I heard plenty of pain, anger and confusion, questions about our commitment to diversity, and pleas to be included in future decisions. As I shared on Friday, the San Jose/Silicon Valley chapter of the NAACP will be on campus at noon today in front of the Smith/Carlos sculpture to express dissatisfaction with pending criminal charges and ask for a full examination of this incident. I will participate in this event, and encourage you to attend if you can. The abusive conduct that occurred in this case should be punished, to the fullest extent that the law allows. We will continue listening. More sessions with students are in the works and an open campus forum will take place during the first two weeks of December. Additional training for RAs is being planned. Details will follow soon. We have begun reaching out to candidates to serve on the external task force. If you have suggestions, please send them to sjsupres@sjsu.edu. How talented are Spartans? See for yourself. The 2013 College of Humanities and the Arts Student Showcase Oct. 25 at the Student Union featured work from more than 40 academic programs. Students presented songs (including original creations); dances, theatrical scenes, and musical theatre; improvisational poetry; paintings, drawings, and photography; music (jazz, opera and percussion); graphic, interior and industrial design; films, videos and animation; and readings (poetry and excerpts from novels). The event even spilled outdoors, where glass blowers demonstrated their fiery art. 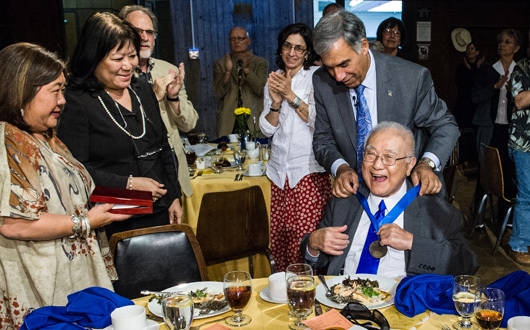 President Qayoumi surprises judo legend Yoshihiro Uchida with a medallion commemorating his 65 years of service to SJSU, with friend Jan Masuda Cougill and Provost Ellen Junn (Robert Bain photo). SJSU’s Faculty Service and Recognition Awards Luncheon is always a moving event. The recipients of SJSU’s top four annual faculty honors speak, and many more lecturers and professors offer remarks after being recognized for 15 to 40 years of service. Their collective affirmations of San Jose State’s role as a teaching college are heartfelt, often eliciting shouts of joy and the occasional tear. For example, no one will forget Distinguished Service Award Recipient Brad Stone’s shout out to his wife for all her support. Created at the SJSU Foundry, the medallion combines the SJSU and Olympic logos with the Japanese characters for judo (photo by Robert Bain). But perhaps this year’s greatest moment came when everyone turned their attention to a very special guest who was too shy to take the stage. Yoshihiro Uchida — local boy, World War II veteran, alumnus, part-time instructor and the driving force behind judo’s rise to an Olympic sport — was honored for an astounding 65 years of service. This is a record not just for San Jose State but perhaps the entire California State University system, said President Qayoumi. After the crowd watched a video summarizing Uchida’s career at SJSU, Qayoumi stepped off the stage to surprise Uchida, seated with family and friends, with a medallion custom-designed and poured at the SJSU Foundry. The piece pulls together his achievements, and complements the many Olympic medals won by his students over the years, including 2012 Olympian Marti Malloy. Among the campus improvements underway right now is the $54.7 million renovation of Spartan Complex East and Yoshihiro Uchida Hall (known as Spartan Complex West until the building was named in his honor in 1997). Plans include a new home for Uchida’s judo program, positioning SJSU to dominate national and international competitions for many years to come. 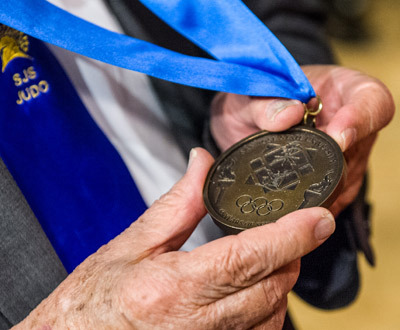 Like everything Uchida has touched during his years as SJSU, the making of the medallion reflects a deep sense of community building and pride. “The medallion represents four distinctly different categories of students and employees of SJSU, but embodies the teamwork, effort, and honor that all Spartans have for San Jose State University and the deep respect for the 65 years of service that we have received from Professor Yoshihiro Uchida,” said Ryan Carrington, spatial art faculty member. Here’s more on the medallion, as told by Carrington. 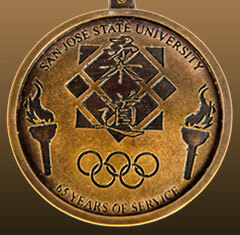 “The Yoshihiro Uchida 65 Years of Service Medallion was the result of the culmination of the efforts of four San Jose State University Spartans. After a design meeting of the four members of the group, Wilson Chao, ’13 BFA-Spatial Art, was in charge of making the digital version and using the laser cutter on campus to cut the medallion out of acrylic. “From there the medallion was passed onto Ryan Carrington, Spatial Art Faculty, ’11 MFA-Spatial Art, to create a mold for casting wax. SJSU Foundry Technician Steve Davis, ’11 MFA-Spatial Art, used the mold for making both versions of the medallion in wax. He and Yvonne Escalante, ’13 MFA-Spatial Art, encased them in plaster to begin the lost-wax process of metal casting. “After the wax was evacuated from the mold, bronze was poured into the negative space. When cool, the metal was cleaned up, chased, and patina was applied. Yvonne was then charged with fabricating a jump ring and ribbon to finish this collaborative project. Lieutenant Governor Gavin Newsom joined SJSU President Mohammad Qayoumi and edX President Anant Agarwal at a news conference on April 10 at King Library announcing a major expansion to the collaboration between SJSU and edX, the not-for-profit online learning enterprise founded by Harvard and MIT. 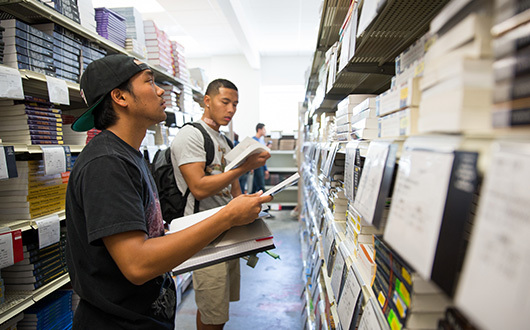 SJSU and edX will establish a Center for Excellence in Adaptive and Blended Learning at SJSU, grow to serve up to 11 more California State University campuses, and add up to five more edX courses. The event featured a panel discussion with SJSU Lecturer Khosrow Ghadiri, student Sara Compton, Newsom, Qayoumi and Agarwal. Professor of Electrical Engineering Ping Hsu served as moderator. “It’s not the tyranny of OR. It’s the genius of AND,” Newsom said, comparing conventional classes with the “flipped” approach developed by SJSU and edX. The SJSU-edX collaboration began in fall 2012, when Ghadiri assigned the MITx 6.002x Circuits and Electronics online materials as homework for his EE98 Introduction to Circuits Analysis course. “When I’m studying for a midterm and there’s one thing I don’t quite understand, I can’t go back to that lecture in a traditional class, but with this class, I can go back and play it again,” Compton said, explaining how she benefits from viewing MITx lecture sequences online. Classtime was devoted to discussion and group work. Early indicators have been remarkably positive. View the news conference video. 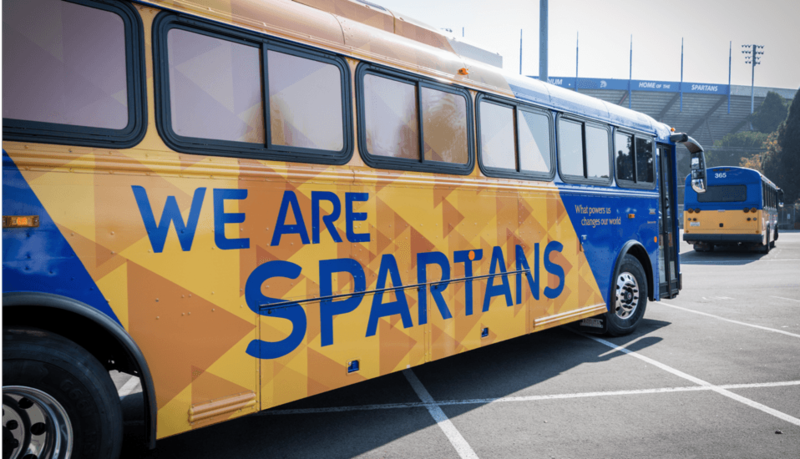 SJSU faculty and staff members gathered at several recent kickoff events to launch the second annual Spartans Supporting Spartans campaign. This annual campaign is an opportunity for faculty and staff members to celebrate the things that inspire them at San Jose State by making a gift to a department or program of their choosing. 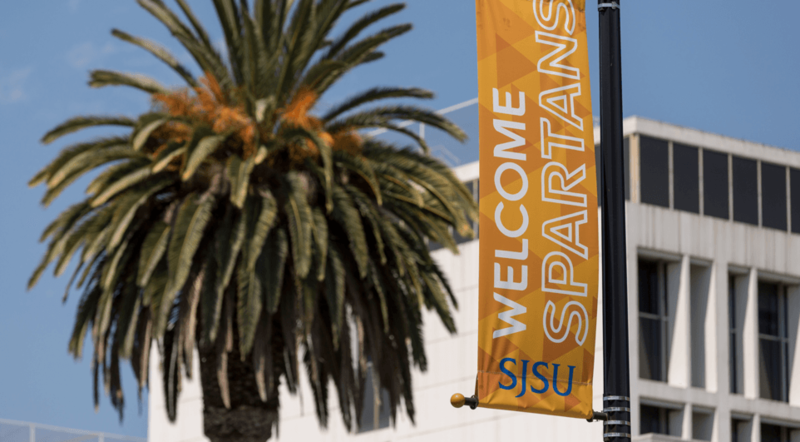 Spartan pride was in full swing — blue and gold pennants waving and balloons blowing — as those who attended the events shared what inspires them about students, colleagues and the campus community here at SJSU. As the campaign progresses, faculty and staff are making contributions to a variety of departments, funds and campus organizations, including chemistry, the Support Our Staff Scholarship, the Student Emergency Fund, the Lesbian, Gay, Bisesexual and Transgender Resource Center, and the Center for Community Learning and Leadership. The annual faculty and staff campaign continues through April 19.